The death of any musician is guaranteed to be fodder for gossip columnists and bloggers trying to gain clicks. People tend to jump to conclusions, especially when famous people died at an age earlier than 80. 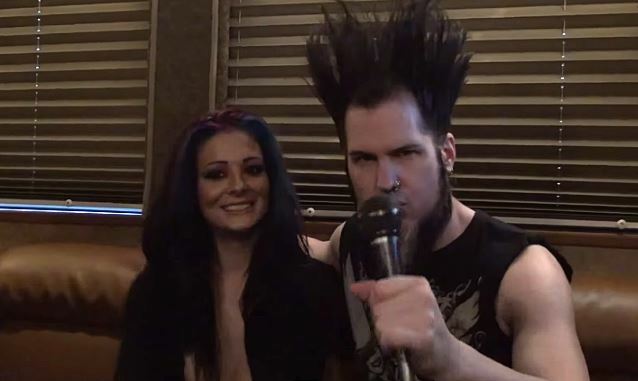 Wayne Static was 48 when he passed away this last week, and in the days since his passing there have been numerous articles speculating about the cause of his death. We have no concrete information to speak of at this point, but a new statement from Wayne’s widow has shed light on the situation. “Today is my husband’s birthday and instead of celebrating his 49th year of life, we are grieving his short 48 years. “It has come to my attention that many have questions and opinions about the cause of the death of my husband in which I now find is necessary to further respond. Wayne was not taking drugs. If anything, he was a drinker, and did not OD. The autopsy will be done by this weekend at the soonest. However, for some of the test results it will take up to 6 months to get the actual death certificate finalized. I hope that the results I am given will have some insight, but they told me what I will receive this weekend will be deemed incomplete until all tests are back. We can all have opinions as to why. We all know that both Wayne and I had abused narcotics with alcohol in the past, which I am sure took a toll on his body, heart and soul. We were packing to travel on tour and were to leave that night, but it was Halloween and we decided to leave in the morning with our animals. I wish we had traveled that night then maybe had he fallen ill we could have gotten to the hospital. I will never know. I find it disrespectful to our families and myself for negative spins that are being posted. For Wayne’s music peers to take it upon themselves to make comments about us when they are not part of our daily lives or know us outside of tour and music, just to grab a headline to get themselves at the top of the gossip page, is disgusting. This is not about you or what you feel is your expert opinion on people you have no relationship with, so shame on you. Do not act like we liked your band either. We have written about Wayne twice since his passing. The first time was a simple announcement of his passing coupled with quotes from a recent interview, and the second paid tribute to his incredible body of work. We encourage you to make time for both. Rest easy, Wayne. You are missed.